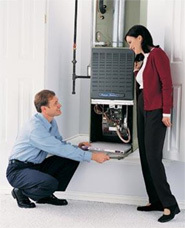 Our Family of trained HVAC professionals has been providing North Texas families and businesses with Heating and Air Conditioning maintenance, repair, service, sales, and installation since 1989. Our primary objective is addressing our clients most critical concerns, which includes creating a comfortable home climate throughout our extreme Texas summer and winter months without over extending the budget to do so. Our Energy Efficiency HVAC and Home Auditors are Highly Trained and Certified Building Analysts as well as Building Envelope Professionals, they are State Certified to diagnose critical performance factors in a home that impact comfort, health, safety, durability and energy efficiency. Schedule an appointment online or by phone. We can even text or email you when your Dallas HVAC repair and service engineer is in route.